Heck at Border’s Tigard Tonight! Thanks to the kids and not-so kids who showed up last night at Powell’s in Beaverton. A mildly diverting time was had by all (free Heck buttons help a lot)! Tonight I’ll be at Border’s in Tigard, which should be exciting since Tigard kind of sounds like “Tiger,” and tigers are majestic, savage, unpredictable beasts. I—like many people—was born in Dallas, Texas. It’s OK: it happens to the best of us (and the worst of us, apparently). I was born somewhere between the popularization of fire and Red Vines. 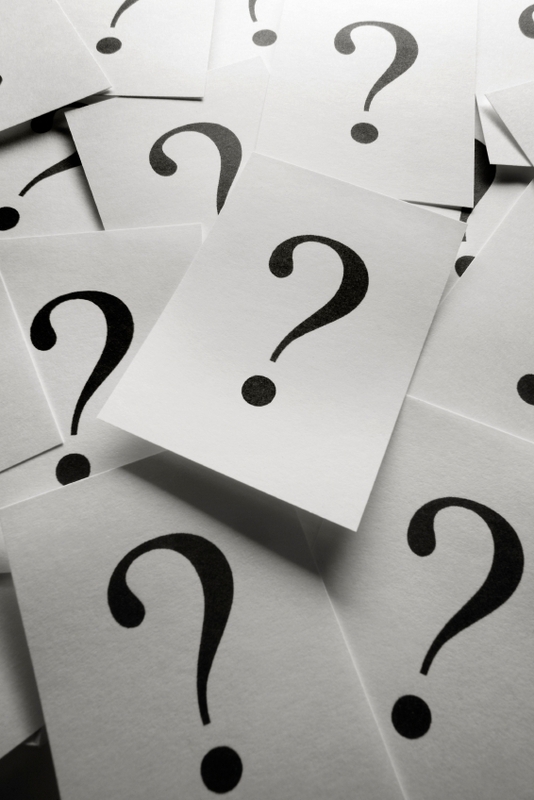 Events that affected me writing Rapacia? Most every event in my life led to the physical writing of the book, if you think about it. But I’m sure you mean the events that affected the plot line, specifically. Growing up, the only thing to really do was to hang out at the mall. Even though we never had any money, it’s what we all did, which is rather pointless since we either were wasting our time around things we didn’t want or torturing ourselves drooling over things we couldn’t afford! So this conundrum probably formed the basis of Mallvana: a place so wonderful and glittering and perfect and awesome that it is either Heaven to some, or Heck to others, depending on your particular circumstances (and credit limit). And, like Marlo, I have—as a teen—run into a few sticky situations in which certain material items found in a store somehow made it to my backpack. But only a couple and—on both occasions—I did an even more daring act of returning them. In fact, sometimes me and my friends would commit acts of reverse shoplifting, where we would smuggle stuff that we didn’t want into a store—weird stuff—and put it on the shelves. And, like the first book, most of the turmoil and horror comes from my experiences in middle school, a place that isn’t full of fun and laughter like elementary school, but without the respect and promise of high school. A place that feels like eternity—and actually is—at least for a little while. I spoke about the process of writing Heck: Where the Bad Kids Go on this video posted on the Oregon Writers Speak page of YouTube. I nearly died getting to the interview, conducted by Willamette Writers’ maestro Bill Johnson, he of the keen question and flowing gray hair. I thought it would be fun to ride my bike so I printed out the Google Maps directions and set out. Little did I realize, but Google Maps really doesn’t give any indication of a route’s steepness of grade. So, in 90-something-degree weather, I basically bicycled straight “up” for 45 minutes. I’m surprised that, in the video, I’m not sweating profusely as if I were being interrogated on 60 Minutes for peddling flammable toys to toddlers (I prefer to set fire to imaginations, personally). In any case, I had a fun time talking about Heck. Check it out! If you have read the latest Heck book, Rapacia (and you really, really should if you haven’t…don’t wait for paperback, get it NOW for Bob Dob’s beautiful, embossed cover and the extra-cool binding) you may recall that Lord Byron, once a poet and now a demon turned inside out, debuts a new, stunningly awful poem near the book’s frantic finish. Well, here is that poem set to “music.” Enjoy…or writhe in sonic pain. If you found yourself enjoying Rapacia: The Second Circle of Heck, please write a review on Amazon.com. 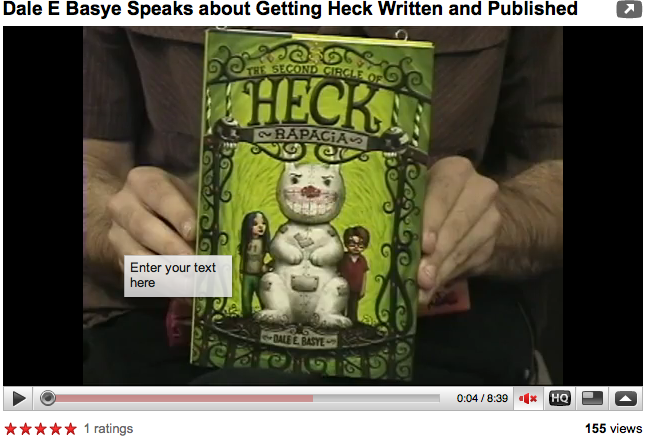 The best review gets a special Heck button! If you get five friends to write reviews, you can win a set of Heck cards!